Graduated journalism studies in the past 2 years and is working as a journalist. If you are interested in applying, please send us your article (400 – 1000 words) on a subject related to the topic of the specific press trip you wish to attend, at your own choosing. Use the application form. The deadline for applications is 28 February 2019, 17:00 CET. 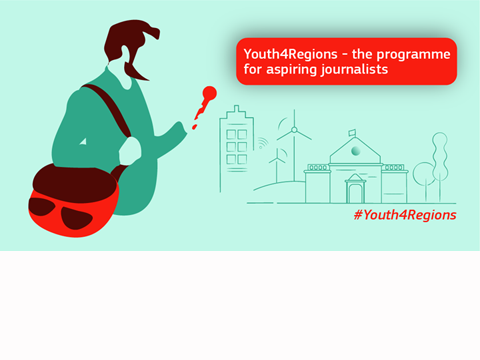 The press trips are part of the Youth4Regions media programme for aspiring journalists.